Two of this city's major pro sports expansion franchises have already left town and two others nearly did. To succeed where other teams initially failed, Seattle's new NHL franchise needs to hit big on three main areas. Our city’s latest sports expansion franchise is now official and hoping to avoid the pitfalls that nearly doomed all the other major professional teams here at one time or another. The Seattle Pilots bolted after one Major League Baseball season in 1969, and the successor Mariners in 1995 threatened to leave unless a new ballpark was built. Our NFL Seahawks relocated offices to Anaheim, Calif., before billionaire Paul Allen agreed to buy the team by 1996 on the similar condition of a new stadium. Meanwhile, the SuperSonics, our first expansion team from 1967 and NBA title winner in 1979, left for Oklahoma City a decade ago. Sure, we’ve had better luck with the Major League Soccer Sounders and reigning WNBA champion Storm. But with teams from the “Big Four’’ pro leagues, our expansion record comes with a big yellow caution flag. Still, our NHL team should have an advantage in three key areas those other teams never started with, at least not at the same time: Multi-billionaire ownership, a new arena deal and potential for a strong on-ice start. The NHL team’s majority owners include investment banker David Bonderman and Hollywood film producer partner Jerry Bruckheimer, worth a combined $4.4 billion, according to Forbes. It took the Mariners 15 years to land a billionaire owner in Nintendo patriarch Hiroshi Yamuachi in 1992, while the Seahawks needed 20 years before Allen bought them in 1996. The Sonics had more stable ownership under Sam Schulman and later Barry Ackerley, but neither had billionaire wealth. Interestingly, it was only once billionaire Howard Schultz bought the franchise in 2001 that the Sonics’ tenure in Seattle became truly shaky – namely, because he didn’t have his arena situation squared away. The hockey team will play in the equivalent of a brand new venue being built under the existing KeyArena roof. The Seattle NHL group Tuesday pegged the renovation’s price tag at $800 million, which makes any comparison with KeyArena’s 1995 remodel foolhardy given the relative scope of the current undertaking. The remodeled venue will be compatible for NHL and NBA, and it will have music partnerships through LiveNation and OVG to enable a steady revenue stream on nights the hockey team isn’t playing. As well, the new $70 million NHL practice facility at Northgate Mall is expected to become a significant revenue generator through a naming-rights deal and corporate sponsorships within the three-ice-surface venue. The lack of a similar practice facility and no control over luxury-suite revenue at KeyArena doomed the Sonics. A 15-year KeyArena lease signed in 1995 gave the City of Seattle those suite revenues – as payback for public bonds covering the previous arena remodel – just as NBA salaries were skyrocketing. “I don’t think there can be any dispute that the Sonics have the least favorable building arrangement in the league,” former NBA commissioner David Stern told reporters during a Seattle visit in May 2005. The following year, Schulz sold the team to a Clay Bennett-led consortium that relocated the franchise in 2008. Both the Mariners and Seahawks, claiming huge losses at the Kingdome by the mid-1990s, stuck around only after public votes whether to approve the construction of Safeco Field and CenturyLink Field and acquiring luxury-amenity revenues within those venues. Seahawks owner Ken Behring already had moved team offices to California in early 1996 before King County council member Pete Von Reichbauer approached billionaire Allen with a proposal that he buy the team. Allen agreed to purchase an option to buy the team, but only if voters approved state funding for what is now CenturyLink Field. Voters already were in a testy mood regarding subsidies for sports teams and only narrowly approved Allen’s funding request by 51 percent. A year before that Seahawks ballot, county voters in 1995 rejected funding what is now Safeco Field. But the state wound up bypassing public wishes and provided a mechanism for tax-dollar usage for the majority of construction costs. Still, the two decisions at both stadiums left a sour taste with many voters. It also left politicians unwilling to test voters on further sports-subsidy requests, something that later haunted the Sonics’ efforts to stay. The Pilots never had a chance to go to voters in 1969 after struggling attendance-wise at Sick’s Stadium that lone expansion season. The stadium was supposed to have been expanded to 30,000, but there were only 1,000 seats ready for opening day. The team’s cash-strapped owner, Dewey Soriano, had sold a controlling 47 percent interest in the team to Cleveland Indians owner William R. Daley before the Pilots even took the field. The duo also turned off fans by charging the highest ticket and concessions prices in baseball to offset their six-figure losses. MLB urged both to sell to local ownership groups throughout a dismal 1969 season, and a couple of those emerged. But Soriano by then had negotiated a deal to sell the team for $10.4 million to car dealer Bud Selig, who relocated it to Milwaukee. The expansion Pilots were a disaster on the field as well, going 64-98 and finishing last in their division. And just as the MLS Sounders making 10 consecutive playoff appearances since their 2009 debut helped that franchise’s growth, the long-term struggles early by Seattle’s major expansion franchises certainly hindered theirs. The Mariners averaged 100 losses each of their first four seasons and didn’t have a winning record until their 15th in 1991. The following year, they were poised to move to St. Petersburg, Fla., until a group headed by Yamauchi bought the franchise from Jeff Smulyan. The Seahawks went 2-12 under coach Jack Patera their first year, 7-21 their first two seasons and didn’t make the playoffs until their eighth year. Still, despite that fun and players such as quarterback Jim Zorn and future Hall of Famers Steve Largent and Kenny Easley — not to mention four subsequent 1980s playoffs appearances — the Seahawks still nearly left town. Only under new owners and with new stadiums did both the Seahawks and Mariners reach their pinnacles – the Hawks going to three Super Bowls and winning one after the 2013 season, and the Mariners winning a record 116 games in 2001 in the midst of four consecutive seasons of at least 93 victories. The Sonics ultimately left town, despite overcoming initial expansion hiccups. They went 23-59 their first season, 30-59 their next and didn’t reach the playoffs until their eighth campaign. Still, they eventually made the NBA Finals in 1978, then won it all in 1979 and were finalists again in 1996. But their fate was sealed when they couldn’t land the venue deal the Seahawks and Mariners got. The NHL team likely won’t have to wait as long to compete, enjoying the same favorable expansion draft rules that helped the first-year Vegas Golden Knights make the Stanley Cup Final last season. 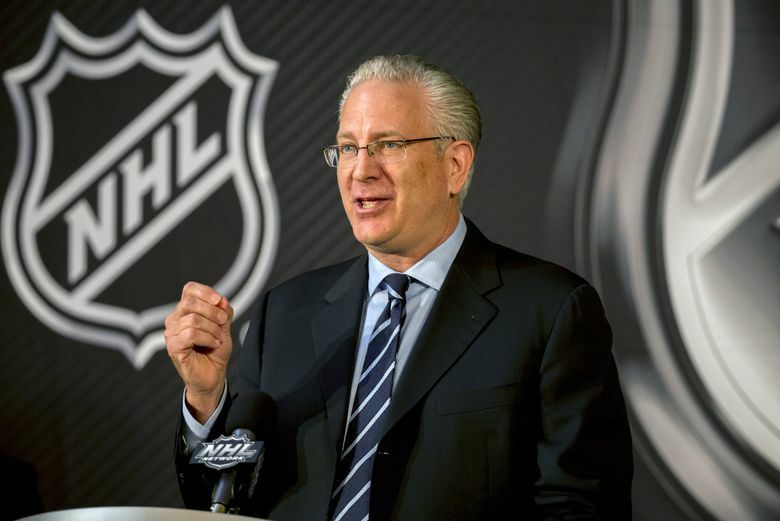 The Seattle team also has CEO Tod Leiweke, who was president of the NHL Minnesota Wild during its 2000-01 expansion season. To help establish a similar culture in Seattle, Leiweke hired longtime NHL player and coach Dave Tippett as an executive consulting on all aspects of the franchise. And if the NHL team wins early, it would have a leg up on those other expansion franchises because it already has the new arena. Of course, instant success isn’t guaranteed, and no one will know how the new arena will function until it actually opens. 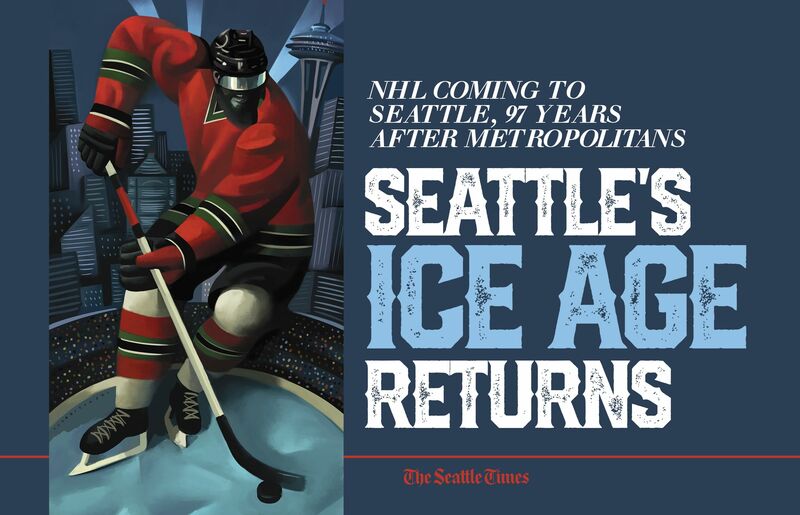 But if it all blows up, the NHL team can take solace in one thing: it almost certainly will not outdo the Pilots as the the shortest-lived Seattle expansion franchise.